Alimak construction hoists and industrial elevators are celebrated for their productivity and performance and can be found operating in some of the world’s most challenging and complex environments; from the construction of the worlds tallest buildings to accessing some of the deepest mines on the planet. 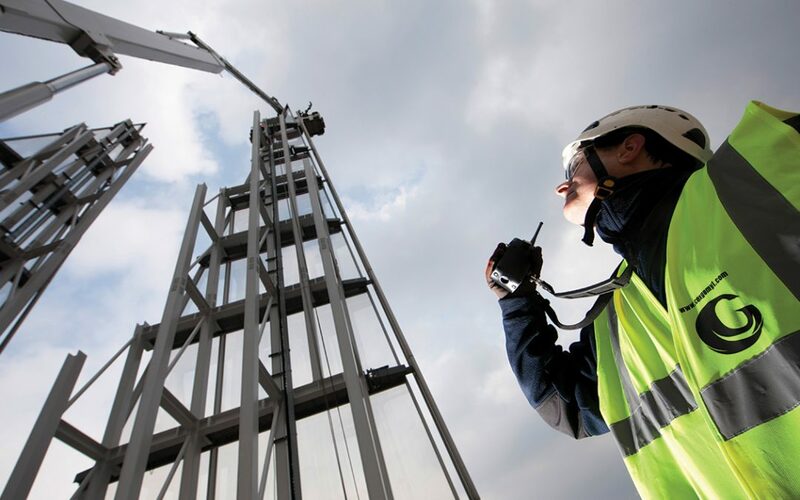 Operators and users of Alimak construction hoists and industrial evaluators will also recognise that Alimak products are renowned for their innovation in product and user safety to ensure that those people engaged with working at height are always kept safe. One such innovation is the Alimak safety device that was developed by Alimak as far back as the 1960’s. 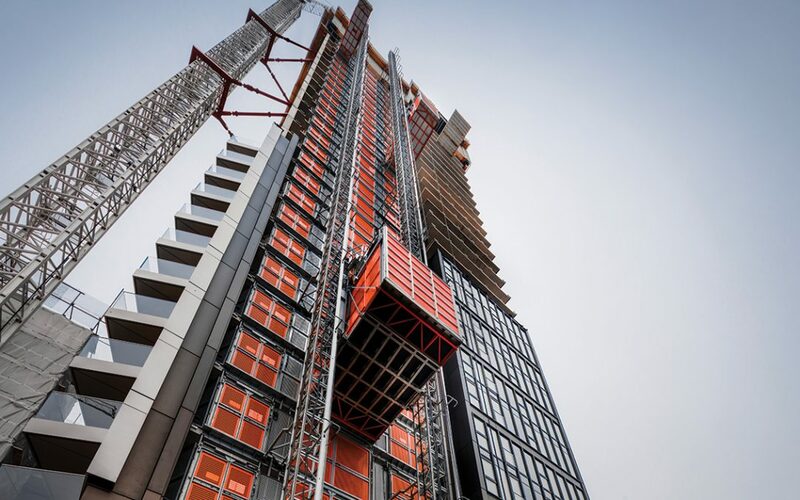 All Alimak construction hoists and industrial elevators are fitted with an Alimak safety device as standard and is the most important safety component on the entire installation. 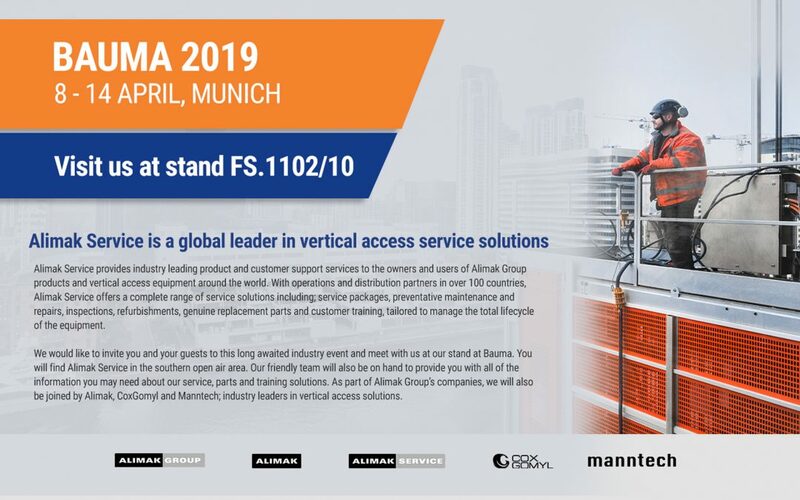 There are currently two standard Alimak safety devices available, the GF & GFD fitted dependant on the model type, load capacity and travel speed of the construction hoist or industrial elevator. The Alimak safety device is completely independent of the hoist or elevator drive unit and installed inside the car with two pinions engaging the rack. 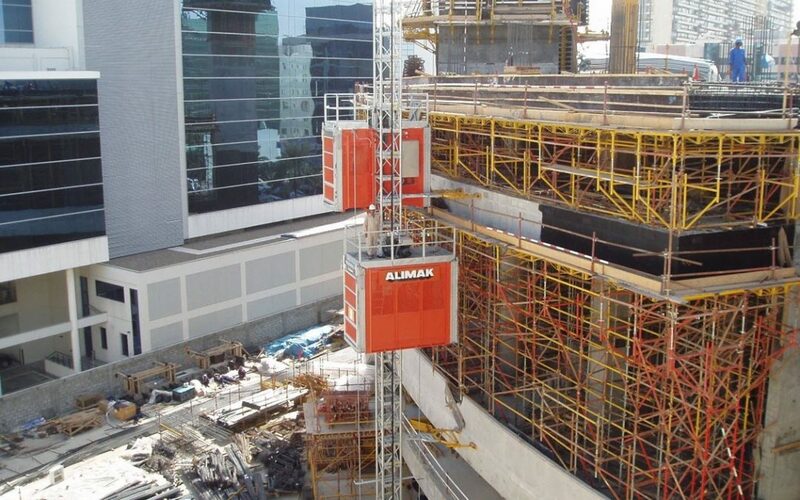 The primary function of the Alimak safety device is to bring the construction hoist or industrial elevator to a safe and controlled stop if the rated speed of the hoist or elevator is exceeded. The Alimak safety device has a shaft with a centrifugal weight and a pinion constantly engaged with the rack on the mast. 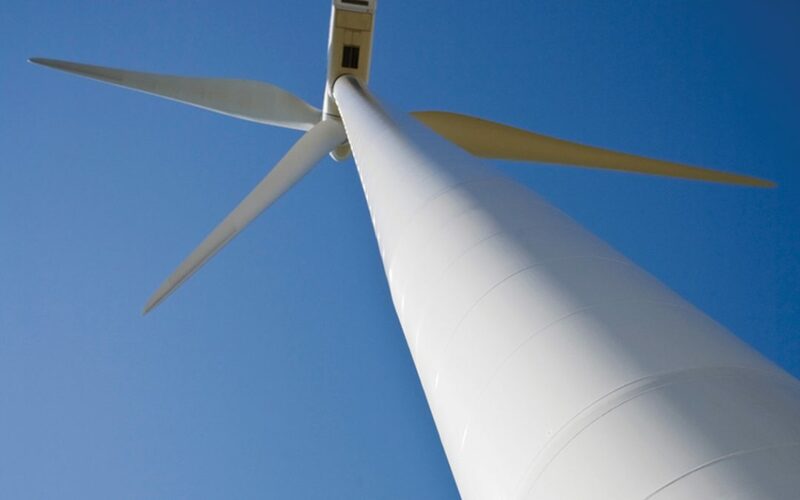 When the centrifugal weight activates, the break cone is screwed in against the break lining inside the safety housing. The hoist or elevator is brought to a smooth stop and simultaneously the power to the drive motor is cut off. The Alimak safety device is a sealed unit and is maintenance free. Importantly, the Alimak safety device must be replaced 4 years from the first documented drop test on of the hoist or elevator, or maximum, the date stamped on the safety device data plate, whichever comes first. 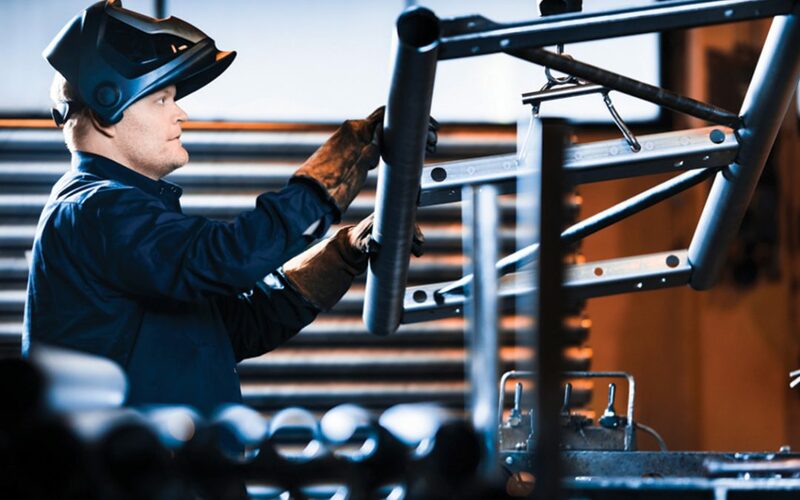 This is to ensure that the safety device is operating correctly and free from any defects caused by external conditions or excessive wear caused by operator misuse. 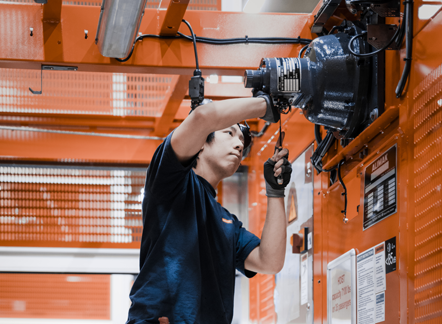 The easiest way to ensure the Alimak safety device and overall safety of the construction hoist or industrial elevator installation is in optimum condition is to have the machine routinely serviced by Alimak Service as part of a service agreement or regular maintenance. 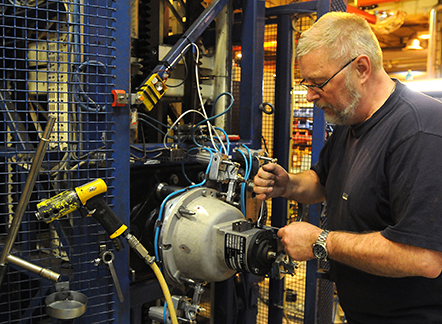 Alimak Service offer a safety device exchange programme designed to minimise downtime and reduce operating costs over the lifecycle of the machine. As part of the exchange programme, units are remanufactured to the latest Alimak standards using only genuine replacement parts, tested and certified in a state-of-the-art facility before being shipped to Alimak Service centres and distribution partners around the world. Each unit is supplied with a lifetime warranty (providing the unit is replaced according to the expiry date) and offers great value compared to buying a new unit. For more information, contact your local Alimak Service Centre or an approved Alimak Distributor.